My World: GG: Life Tracked! 2006: An Electronics and Telecommunication Engineer admitted in a reputed college of the city. This guy lived in a single room apartment with a brain craving for knowledge and hands waiting to fiddle with all the components seen in the textbooks. Great visions of changing the state of students around him and the people that he notices in a state much worse than he is, live in his eyes which still remain unfulfilled. The journey begins with a milestone in the form of a workshop conducted in SRKNEC in December 2008. This was a hands-on workshop on robotics which cajoled the ambitious mind of this individual. The constant dreams of delivering a kindling entity in this world had found a reality. Work started with LARE after the workshop, in which majority of the attendees were pulled by this lone guy. Enjoying every bit of the work from organizing to teaching was one great phase. In the winter of 2009 when each student was buzzing and preparing for the interview by the first company of the season, Tata Consultancy Services, this individual was ready with his small box of electronics which he had been working on since 2 years. Selected by the HR with a salary of 3.25 lacs the only reason being the depth of knowledge he possessed about wireless networks and his small kit. A happy individual comes out of the door, satisfied with the secure future he just unlocked. The well known late work call by TCS drove this man to the busy streets of the City of Dreams; Mumbai. He worked with the firm from May to September 2010. Letting his mind go miles ahead and the power of the resources available made his dreams much bigger. With the sudden call letter, he rushed to the land of Gandhi on 23rd September. A three-month training session had begun at TCS, Gandhinagar. Exploring the new world, and embracing the new work culture, a hardware guy working on software is still a nightmare which he initially went with a positive mind. 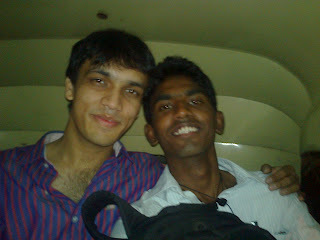 Moving back to the City of Dreams, Mumbai on 3rd November 2010, and the big play began. Roaming in the seven offices of TCS looking for a permanent place to work took some time. After finally being placed in Powai Branch, training on Business Objects for 5 days started which at no level in future was useful. Then a SAP BI (Business Intelligence) & BW (Business Warehouse) training for a month began for TRENT project which meant a lot of pdf reading, with no system provided. Even a look at the software was which was being read never happened for a month. He then voluntarily gave up the project which did simply no good except for adding frustration in life. After giving in company interviews for 5 more companies, he finally got placed in a project by Warner Brothers Inc. This was a Report Migration project which was replacing the old format with new files. All this was called as Excel Comparison and Data Matching in a true technical lingo. This phase existed from 5th February 2011 to 8th June 2011. After a lot of struggling with personal and professional issues and an engineer living without a laptop, he tried to continue his tryst with the life he choose, he paved his way through the densities of life. Finally settled in Sony Pictures Entertainment since June 2011, he tries to enjoy the minor enhancements and data testing at his workplace.